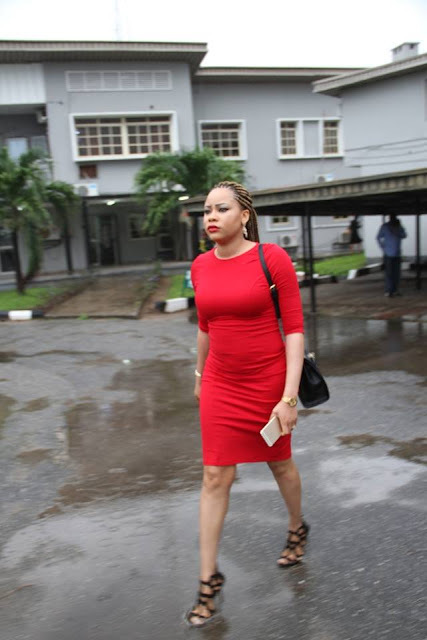 Abuja big babe Precious Chikwendu who delivered a baby boy for her wealthy Sugardaddy last year was seen at the premises of a Federal High Court in Lagos today crying her heart out. Her husband has been in EFCC detention for over a month now over a messy money laundering case. 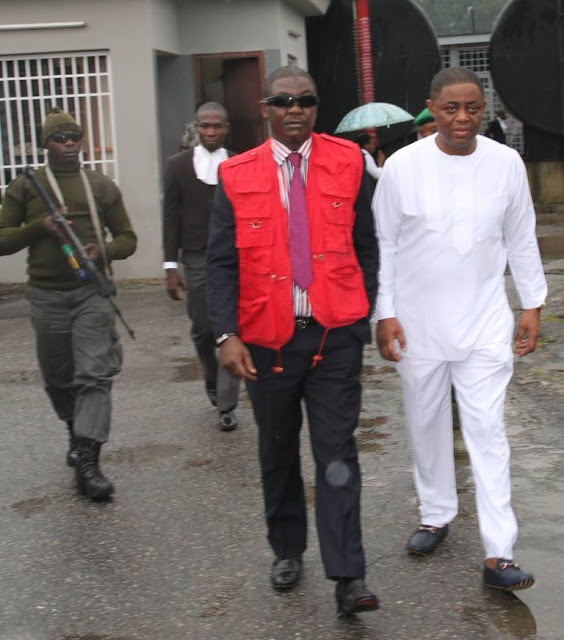 Today, Miss Chiwendu came to meet her man as EFCC brought him to court for arraignment. According to eyewitnesses, Fani Kayode’s baby mama reportedly broke down while EFCC operatives were returning him to detention. A source said at a point, Precious tried to block newsmen from taking her photos but she was cautioned against it. Precious Chikwendu was seen leaving the premises of the court full of emotion few hours ago. Not everything is about money bro. Hi Kingsley, she has to act and pretend like she truly love a man who has given birth to children far older than her. 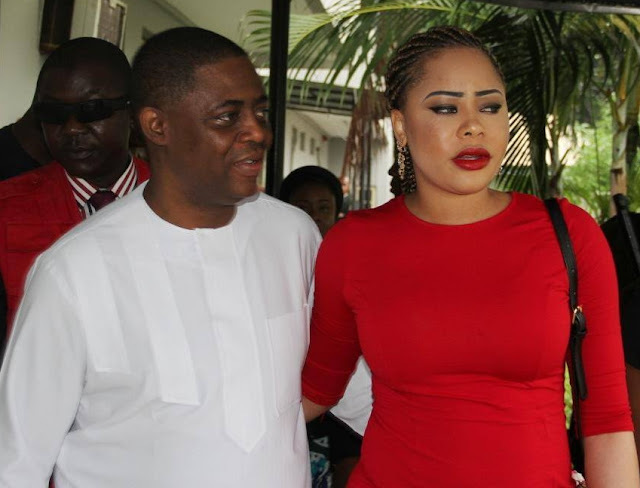 If this crook and looter called Fani Kayode remain in prison for money laundering charge and embezzlement of public funds, this beautiful young woman will soon abandon this thief in prison, marry a younger guy with her fat bank account, and she will finally move on with her life. She is very lucky because wetin concerns agbero with overload, it is not her cup of tea that FFK put himself in prison for crime against Nigerian people. EFCC is doing a great job, but what about criminal Fayose? @Omokehinde, I owe you drink at last. @Fifelomo, you sabi. @D Hunter, short and simple. @Egberrimama, I have learnt from you. 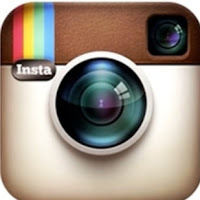 By the way, I no see your comment. Kingsley can na ur papa money she want chop? Na wa o, what can we say. You need not to cry, you came at the right time. Spend the money. Keep spending the stolen funds. buzu- k why are you not in protest of FFK as you ar in favour of Fayose for the money he deposited in his bank account if fayose can prove to EFCC WHERE HE GOT THIS FABULOUS amount of money in his account then what ever you say you ar more than right in my own opinion. What is going on about in Nigeria today we Nigerians should give credit to THE PRESIDENT is doing all he can so that every household in Nigeria can at least have three square meals.HE the president is really fighting for the money already looted out of the country i mean the President is the right thing so far all the money been stolen by this crooks taken out to overseas account by the GEJ administration, Nigeria has already finished totally, if you are privileged to travel to any part in overseas you will realise what am talking about any Nigerians men, women are really suffering except those people either their children, wife or siblings who already looted the Nigeria treasury are the only people enjoying the life both in Nigeria and overseas but all i know they cant escape it either by fire or by force they are going to cough all this money out is just a question of time. If God decided to make everybody a millionaire, it doesn’t cost him nothing and nobody can question him. May be in order to let the money have value in the eyes of we human being, that is why he gave some people and did not give some people. Then he started observing us as if we going to use our judgement to make that money go around and distribute it evenly within ourselves. White people tried their best by stretching this to the less privileged while we black decided to be very greedy. How can you say someone is your brother and you watch him died of starvation because of your own greed. We have water in our pot yet we are crying of thirst. FFK this is your own time of evaluation. Others will surely get theirs don’t worry. In developed Countries, e.g US, UK, Germany, Canada etc they give their citizens food stamp, Health care, Education from their Revenue where as in most black Nations, they kill our people by starving them to death. Your immediate past president had no clue if money was coming into Nation’s purse in form of revenue for 2 good years and some people were saying he meant well for this Country. As for you Chukwendu, you are just Sharing from your husband iniquitous. She’s crying because she doesn’t want EFCC to probe her too. You all have said it. Why is it that some women don’t have conscience at all? 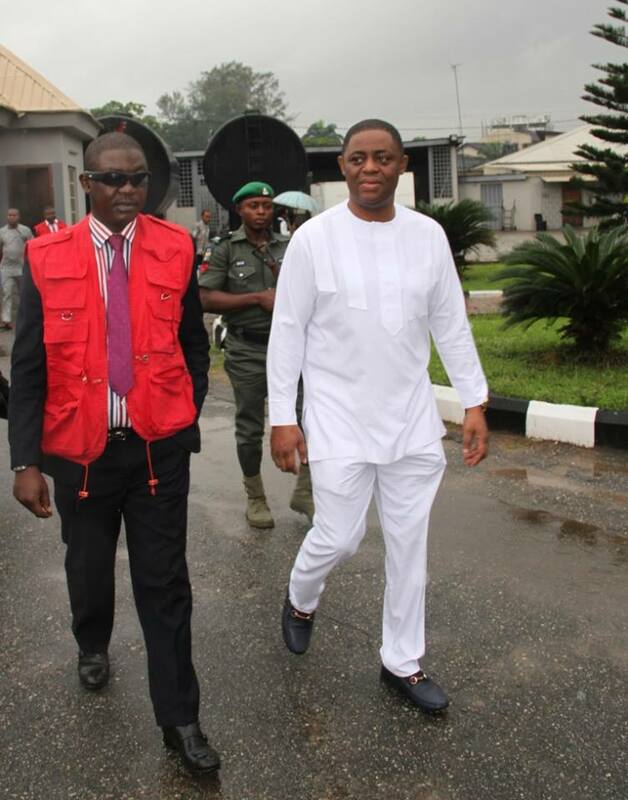 does the idiot know when and how Femi Fani Kayode stole all those monies? 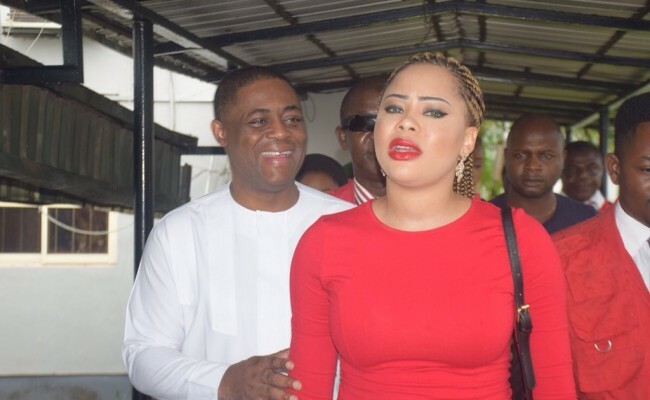 she has to shed crocodile tears so as to create the impression to FFK that she love him, and use that opportunity to get more money from him.Imediately FFK is sentenced to jail,take it, this woman would come up with excuses and she will disappear.The next story you will hear from her would be that she has picked up her life pieces and move on. Some people claim Buhari is fighting corruption! My humble question is, why is the fight one-sided? As in anyone who opposes his government, his fight should be for all who have stole and those still stealing, thats if his hands are clean. Well i think d federal government should look in more in to matter, if actually ffk stole nigerian money and past ppd members should not only be guilty for d stealin of public funds, apc members onlike amachi,tinubu and other pas govmnt and others, and stop lookin backward to d past, so as to make nigeria economy beta and greater for nex generation to come.